Libya’s most important military commander has no combat experience and has achieved his rank through nepotism rather than merit. His first active command involves attacking unarmed civilians and ex-members of his own military, yet Khamis al-Qaddafir will play a pivotal role in the coming days as the fate of the Libyan regime led by his father, Mu’ammar al-Qaddafi, is decided. 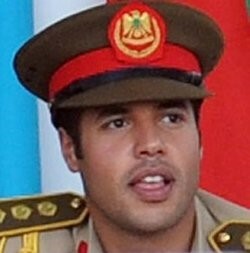 Born in 1978 and the fifth son of President Qaddafi, Khamis has avoided the allegations of hard partying and womanizing that have plagued the reputations of his older brothers. 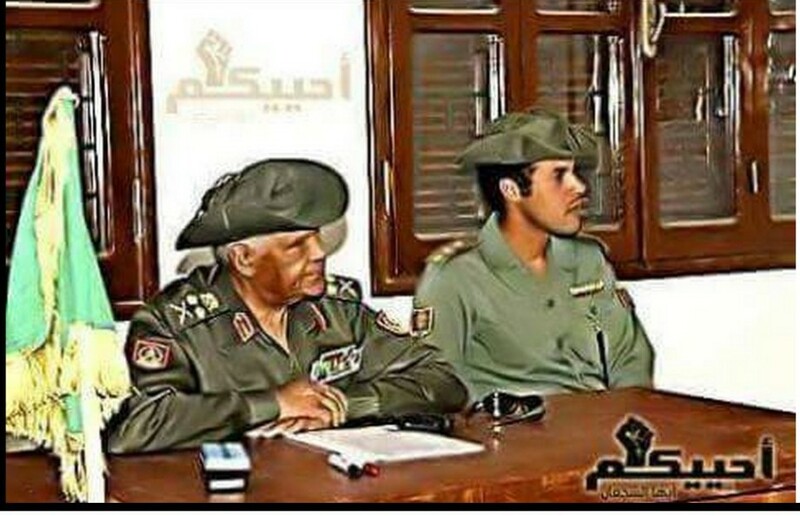 As commander of Libya’s 32nd (Mechanized) Brigade, Khamis al-Qaddafi controls the best-trained and best-equipped elements of the Libyan Armed Forces. The 32nd, popularly known as the “Khamis Brigade,” is designed to defend the regime from both external and internal threats, with troops groomed to display loyalty to the Gaddafi family regime and prepared to fight other units of the armed forces in defense of the regime, if need be. While other officers are constantly rotated between various units to prevent the development of personal loyalties within military units to their commanding officers, Qaddafi’s sons tend to be tied to certain commands. Better pay, benefits, weapons and equipment in the Khamis Brigade are intended to solidify loyalty to the unit’s commander, Khamis. Khamis is a graduate of the Libyan military academy in Tripoli who took further military training in Russia at the Frunze Military Academy and the General Staff Academy of the Russian Armed Forces in Moscow. After completing his military studies in Moscow, Khamis paid a visit to Algeria, where he was received by President Abd al-Azizi Bouteflika. The Khamis Brigade later took part in joint exercises with the Algerian military (JANA [Tripoli], December 1, 2007). In 2009, Khamis was invited to observe joint Belarus-Russian military exercises (Belarusian Telegraph Agency, September 30, 2009). Spanish sources say Khamis was not with his brigade when the unrest began, but was instead pursuing an international MBA at Madrid’s Instituto de Empresa, studies which he began in April 2010. Khamis was apparently attempting to keep a low profile in Spain, using the name “Mu’ammar Khamis,” though the Spanish government was aware of his presence. He was scheduled to attend a seminar in South Africa this week, but the school says it is now unaware of his whereabouts (El Pais [Madrid], February 22). He turned up on Libyan national TV on February 22, saluting and embracing his father after the latter’s televised speech to the nation (Afrol News, February 23). The implication was clear to viewers – the Khamis Brigade would be leading the assault on those challenging the regime. The Khamis Brigade was normally stationed close to Benghazi, but it appears that most of the unit has withdrawn to the Tripoli region. According to the recently resigned Libyan envoy to the Arab League, Abd al-Mun’in al-Huni, the Libyan regime is now largely confined to four military bases in the Tripoli region, including that of the Khamis Brigade and the Bab al-Aziziyah, which contains the residence of Mu’ammar al-Qaddafi (Al-Sharq al-Awsat, February 26). Khamis was recently reported to have killed Said Rashid al-Muqarha, a tribal leader in the pro-government Muqarha tribe (al-Arabiya, February 23; ABC Internacional [Madrid], February 25). Elsewhere, French-speaking mercenaries captured by protesters in Benghazi alleged that Khamis issued the orders to fire live-ammunition at demonstrators (al-Arabiya, February 19). 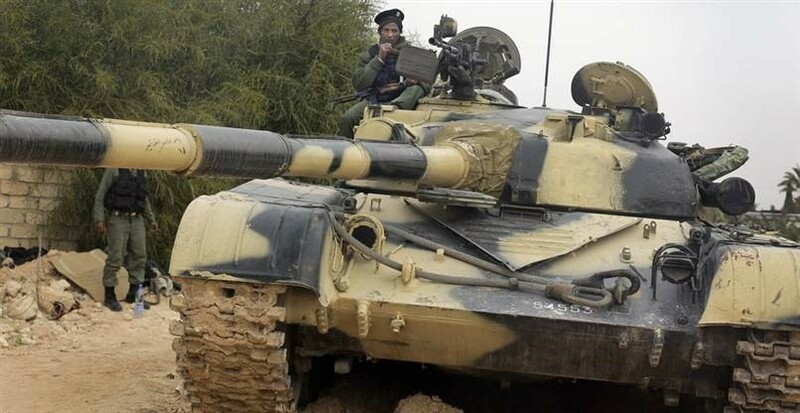 The Khamis Brigade has been reported as taking part in the fighting in several places, including Benghazi and Misurata, where they reportedly failed to retake an airbase (al-Jazeera, February 26; Financial Times, February 23). The reluctance of defecting troops in eastern Libya to take a frontline role in resisting the government suggests they are fully aware of their limitations in engaging the Khamis Brigade or other units still loyal to Qaddafi. However, fear of the Khamis Brigade seems to have played a bigger role in the current struggle for Libya than any actual military operations carried out by the unit so far. It may be that, in classic military style, the regime is holding its best troops back for use in a critical encounter such as the defense of Tripoli and the Bab al-Aziziyah barracks. U.S. sanctions imposed on Libya on February 25 were followed by UN Security Council sanctions the next day that specifically targeted a number of members of the Qaddafi family, including Khamis (al-Jazeera, February 27; BBC, February 25). UNSC Resolution 1970 includes travel bans and asset freezes. Several of Khamis’ brothers also hold commands in the military, including Sa’adi and Mu’tasim, the national security advisor, though neither are regarded as serious military prospects. Colonel Mu’tassim is reported to have asked his father for $1.2 billion in 2008 to establish a military force comparable to that of his brother Khamis (Guardian, February 21). Another son, Saif al-Arab, is rumored to have joined the revolutionaries after having been sent east to repress the revolt. Will Khamis provide the last line of defense for his father’s regime and the “Green Revolution?” Though much money and attention have been devoted to making the troops under his command the elite force of the Libyan military, their performance so far cannot be very encouraging to the Qaddafis. In Benghazi, the Khamis Brigade surrendered fortified positions to a civilian assault (though they were hampered by disloyal units within the garrison that refused to fire), and Khamis Brigade counter-attacks in Zawiyah and Misrata against defectors and armed civilians are also reported to have failed (al-Jazeera, March 1; AP, February 27). If the Khamis Brigade is offered an alternative to going down in flames in Tripoli, the armed foundation of the Qaddafi regime could quickly collapse as loyalty to its commander is measured against an uncertain future. Despite a series of reports suggesting that al-Qaeda in the Arabian Peninsula (AQAP) Deputy Leader Sa’id al-Shihri (a.k.a. Abu Sufyan al-Azdi) had died in an explosion while manufacturing a bomb on February 9, there are now indications that the veteran jihadist is still alive (for al-Shihri, see Terrorism Monitor, September 9, 2010; January 14, 2011). A native Saudi, al-Shihri spent six years in the Guantanamo Bay detention center before being released to a Saudi rehabilitation program in 2007. After completing the apparently ineffective rehabilitation, al-Shihri left for Yemen, where he joined up with al-Qaeda elements, soon becoming a high-ranking member of the newly formed al-Qaeda in the Arabian Peninsula, which united Yemeni and Saudi militants. 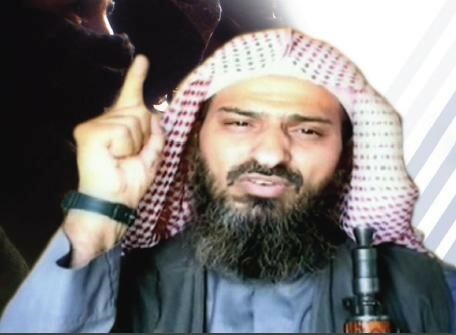 Initial reports claimed that al-Shihri was killed together with five other members of AQAP (including an unnamed senior figure) while building an explosive device in the Lawdar district of Abyan governorate (Yemen Post, February 12; al-Ittihad [Abu Dhabi], February 12). Lawdar was the scene of heavy fighting between government forces and al-Qaeda fighters last summer (see Terrorism Monitor Brief, September 16, 2010). 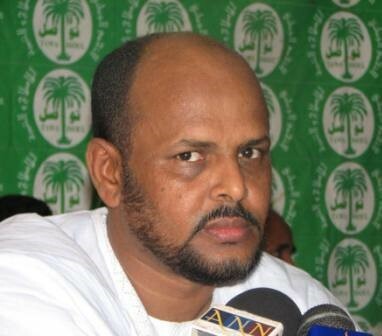 Brigadier Abd al-Razaq al-Maruni, the security chief for Abyan governorate, was quoted by a Saudi daily as having told the paper by telephone that “We have received confirmation that al-Shihri was killed in Lawdar in Abyan.” However, Interior Ministry spokesman General Mansur al-Turki said his ministry had no such information, as did the Yemeni embassy in Riyadh (al-Watan [Riyadh], February 14, 2011). The next day, Brigadier Abd al-Razaq al-Maruni used the Defense Ministry website to deny reports of al-Shihri’s death (including any statements attributed to him by local media), describing such reports as a likely effort to mislead security forces (26sep.net, February 14, 2011; Saba [Sana’a], February 15, 2011). A tribal figure from the Lawdar area who works as a mediator between the government and AQAP told a Yemeni daily that al-Shihri’s death was “absolutely not true. We are among them [al-Qaeda] and nothing happened.” The report was also denied by other local residents, who said such an event could not take place without them hearing about it (Yemen Observer, February 15, 2011). AQAP has yet to release a statement on the alleged incident. Female relatives of al-Shihri scandalized Saudi officials earlier this month when they protested the detention of family members outside the Interior Ministry in Riyadh. The women were unaccompanied by male guardians and authorities promised an investigation into how they were able to travel to the Saudi capital without male relatives as escorts (Gulf News, February 6, 2011). This article first appeared in the February 24, 2011 issue of the Jamestown Foundation’s Terrorism Monitor. 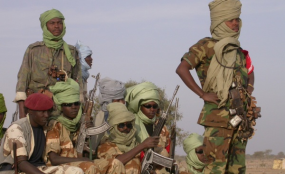 Have Darfur Rebels Joined Qaddafi’s Mercenary Defenders? A handful of unconfirmed reports from Libya have cited the presence of Darfur rebels in the ranks of the African mercenaries defending the regime of President Mu’ammar Qaddafi (al-Intibaha [Khartoum], February 21, 2011; Reuters, February 22, 2011). A spokesman for the Sudanese Ministry of Foreign Affairs told a press gathering that authorities were investigating the claims (Sudan Tribune, February 22, 2011). Darfur has strong historical ties to Libya, its northern neighbor, and Qaddafi has played a large role in hosting peace talks and encouraging the unification of Darfur’s many rebel groups. Perhaps mindful of his own future, Qaddafi has also been one of the main defenders of Sudanese president Omar al-Bashir from possible arrest and prosecution by the International Criminal Court (ICC) for war crimes in Darfur, using his influence in the African Union to pressure other African leaders on the issue, many of whom are also mindful of the precedent that could be set by al-Bashir’s prosecution. Officials of the Justice and Equality Movement (JEM), the strongest of Darfur’s rebel movements, reacted with anger to the allegations, saying JEM has no fighters in Libya, has no interest in interfering with Libyan affairs and will hold Khartoum responsible for any harm that comes to the thousands of Sudanese citizens working in Libya (Sudan Tribune, February 22, 2011). When a Sudanese Foreign Ministry spokesman later announced that his ministry now had proof (as of yet undisclosed) that Darfur rebels were engaged in the fighting in Libya, JEM official al-Tahir al-Feki responded: “These allegations are very offensive and show no sensitivity towards the hundreds of thousands of Sudanese who reside in Libya who will be put in jeopardy as being seen as mercenaries or taking sides. To say that there are JEM fighters in Libya fighting for Gaddafi, this is just provoking the Libyans to go after all the Sudanese” (Reuters, February 23, 2011). There are an estimated half million Sudanese living in Libya and Sudanese officials say they are working on an evacuation plan should that prove necessary (SUNA [Khartoum], February 21, 2011). JEM’s leader, Dr. Khalil Ibrahim, has been harbored in Libya since May 2010, when he was refused re-entry to Chad, JEM’s former base (Sudan Tribune, May 19, 2010). The relocation was the result of a peace agreement between Chad and Sudan that ended a long-running proxy war across the Chad-Sudan border (see Terrorism Monitor Brief, October 28, 2010). Khartoum was extremely displeased with the Libyan decision to offer the JEM leader refuge and it would not be surprising to see Sudanese officials taking the opportunity to try and discredit JEM by linking its fighters to the mercenaries firing on civilians in Libya. There is something of a precedent here; JEM rebels were active in the defense of their Chadian host when Chadian rebels operating out of Darfur attacked the Chadian capital of N’Djamena in February 2008. There were different circumstances at work, however; JEM stood to lose their Chadian bases if a Sudanese-backed faction took power in Sudan. There were also tribal ties between the Chadian leadership and the leadership of JEM, both of which are dominated by members of the cross-border Zaghawa tribe. In this context, however, it should also be mentioned that the Chadian rebels were Zaghawa as well (see Militant Leadership Monitor, July 30, 2010). A number of Zaghawa are believed to have served in Qaddafi’s Islamic Legion in the 1990s. As the protesters grow in strength, suspected mercenaries are being dealt summary justice in the streets, often through hanging. Growing numbers of suspected mercenaries are also being detained by revolutionary committees, including alleged gunmen from Chad, Niger and Sudan (Reuters, February 24). Libya has a substantial black African work force and student population that are likely to come under suspicion in the chaotic events engulfing that nation. As mercenaries in Libya come to realize they are both expendable and unlikely to be paid, they will likely use violent and unpredictable means to extricate themselves from the situation. The reported use of mercenaries in a desperate attempt by Qaddafi’s regime to retain power in Libya is threatening to blow up into a pan-African scandal. It is difficult to believe that gunmen with military experience were hired and flown out of various African nations without the knowledge of security services in those countries, suggesting some African governments have cooperated with the plan or at the very least looked the other way. The issue has been raised in the parliaments of Kenya and Zimbabwe, with the defense minister of the latter nation skirting the question by saying he had “no mandate in my duty as Minister of Defense to investigate activities happening in another African country” (News Day [Harare], February 23, 2011; Daily Nation [Nairobi], February 23, 2011). Can African Mercenaries Save the Libyan Regime? In recent days there have been reports that the Libyan regime of Mu’ammar al-Qaddafi has resorted to the use of foreign mercenaries to slaughter unarmed civilians protesting over four decades of rule by Qaddafi and his family. The Libyan government has been clear from the start that protestors could expect a “violent” response from the regime (al-Zahf al-Akhdar [Tripoli], February 19). Mu’ammar Qaddafi’s son, Sa’if al-Islam al-Qaddafi, warned viewers of Libyan state TV: “We will fight to the last man and woman and bullet” (al-Sayda TV, February 20). Khaled al-Ga’aeem, the under-secretary of the Libyan Foreign Ministry, told al-Jazeera interviewers there was no truth to the reports of mercenaries: “I am ready – not only to resign from my post – but also set myself on fire in the Green Square – if it is confirmed that there were mercenaries from African states coming by planes” (al-Jazeera, February 22). However, citing his own reports from inside the country, the Libyan ambassador to India, Ali al-Essawi, has confirmed the use of African mercenaries and the defection of units of Libya’s military in response to their deployment (Reuters, February 22). In New York, defecting Libyan Deputy Ambassador Ibrahim Dabbashi called on “African nations” to stop sending mercenaries to defend the Qaddafi regime (New York Times, February 21). Though Ottoman soldiers were busy with wars in the Balkans and rebellion in Yemen, the defense of Libya became a popular cause in the army, with volunteers from across the empire crossing through the Italian blockade with the help of local people in neighboring Tunisia and Egypt. These volunteers, who included Enver Bey (a leading member of the “Young Turks”) and Mustafa Kemal (the founder of modern secular Turkey after the First World War), were largely motivated by patriotism or religion. To the surprise of the Turkish officers and the astonishment of the Italian generals, Libyan tribesmen suddenly began riding into the Turkish camps to offer their services. As the call for jihad spread south, fighters began to arrive from the Tubu tribes of Tibesti and the Tuareg tribes of the Fezzan. The dark-skinned Tubus would later be forced out of Libya into Chad by al-Qaddafi for being inconsistent with Qaddafi’s vision of a purely Arab nation after a member of Libya’s former royal family attempted to recruit Tubu mercenaries for use against Qaddafi in the early 1970s. The Tuareg of Libya were ethnically “reclassified” from Berbers to Arabs. 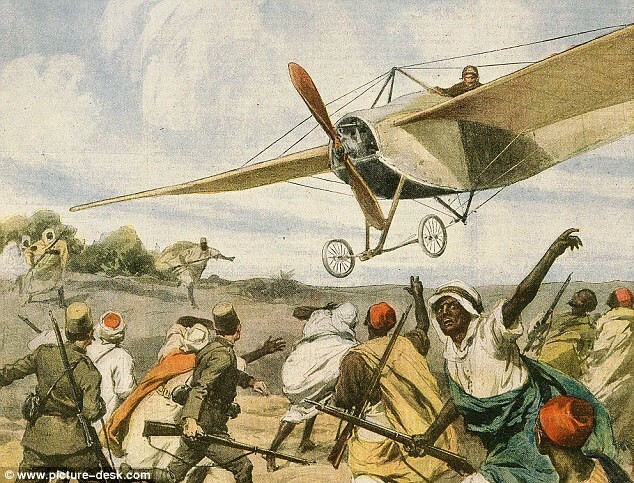 Many fighters from the African interior had few connections with the Ottomans, but arrived to repel the infidel invaders from a sense of religious obligation, thus setting an example for later jihadis who would travel to the battlegrounds of Chechnya, Afghanistan and Iraq under a similar sense of obligation. Qaddafi also turned to a quasi-mercenary force to further his ambitions in Africa in the early days of his rule. The Islamic Legion (al-Failaka al-Islamiya) was a force of largely unwilling mercenaries recruited and deployed by Qaddafi to further his territorial ambitions in the African interior and advance the cause of Arab supremacy. Formed in 1972, the Islamic Legion was drawn mostly from young men from Sahelian countries who had migrated to Libya in search of work. Many were effectively “press-ganged” into service with the Legion. Though the organization worked closely with the Tajammu al-Arabi (Arab Gathering) to advance Arab supremacy in the Sahel and Sudan, the Legion was usually dominated by Tuareg and Zaghawa recruits despite neither group having any Arab heritage. The Legion was deployed in the frontlines of a series of wars with Chad (supported by French Foreign Legion forces) in the 1980s. The Legion was disbanded in 1987 after Libya’s final defeat in these clashes, but the ongoing depredations of Darfur’s Arab Janjaweed have their origins in the Qaddafi-backed Tajammu al-Arabi. Many of the Tuareg who launched rebellions in Mali and Niger in the 1990s received their military training in the Islamic Legion. The current employment of mercenaries to do the “dirty work” usually assigned to Libya’s paramilitary security police speaks volumes about the regime’s rapidly dwindling faith in the willingness of state security forces to “fight to the last man” in defense of the regime. While the evidence of such recruitment is growing through video footage finding its way out of Libya, it is still impossible to tell in what numbers these mercenaries have arrived. Unconfirmed reports suggest the mercenaries arrived on a number of separate flights to both the Tripoli and Benghazi military airports, perhaps indicating a number of different recruitment sites (al-Arabiya, February 19; Jeel-Libya.net, February 19). The recruitment appears to have been undertaken quickly, either without the knowledge of the intelligence agencies and security services of their countries of origin, or with the full knowledge and approval of their originating states. Through a combination of largesse, aggressive diplomacy and military support (in the form of training, presidential protection units and stockpiles of old Soviet armaments), Qaddafi remains an influential figure in many parts of West Africa. Chad: Chadian mercenaries have been active in the Central African Republic for many years. There are also a large number of anti-government Chadian guerrillas who have recently found themselves unemployed after a peace treaty between N’djamena and Khartoum resulted in their expulsion from bases in Darfur. Many of these gunmen refused offers of repatriation to Chad, leaving them without work. Tensions between Chad and Libya eased after the International Court of Justice awarded the disputed Aouzou Strip to Chad in 1994. Since then, Chad’s President Idriss Déby has cooperated with the Libyan leader on a number of initiatives and agreements. Déby has been away from Chad throughout most of the Libyan crisis, following a state visit to China with meetings in Nouakchott and Abidjan (AFP, February 21). French-Speaking Sub-Saharan Africa: Tunisians, Nigeriens and Guineans are among those mercenaries who have been captured, some still bearing identification documents. English-Speaking Sub-Saharan Africa: Some of the mercenaries are reported to speak English (Radio France Internationale, February 20). Reports from Ghana indicate Ghanaians are being offered as much as $2500 per day to defend the Qaddafi regime. Advertisements for mercenaries have also begun to appear in Nigerian newspapers (Ghana Web, February 22). In his televised address to the Libyan people, Mu’ammar’s son, Sa’if al-Islam al-Qaddafi, told Libyans: “The army will play a big role [in defending the regime], it is not the army of Tunisia or Egypt. It will support Qaddafi to the last minute” (al-Sayda (Libyan State TV), February 20; Quryna.com, February 21). Bereft of real threats to its territory, whose security is guaranteed both by the strategic importance of Libya’s ample oil reserves and Mu’ammar Qaddafi’s considerable (if somewhat baffling) status in the African Union, Libya’s “Guide” has been able to indulge in periodic purges of his officer corps while keeping most elements of his armed forces under-armed and short of ammunition. The exception to this is the 32nd Brigade, popularly known as the “Khamis Brigade” after its leader, Khamis Abu Minyar al-Qaddafi, one of Mu’ammar Qaddafi’s seven sons. Khamis is a graduate of the Libyan Military Academy in Tripoli and received further training in Moscow at the Frunze Military Academy and the General Staff Academy of the Russian Armed Forces. The Brigade under his command typically receives better arms, equipment and salaries than the rest of the army and serves as a kind of Praetorian Guard to defend the regime. Brigade members have been active in trying to repress the demonstrations. The Khamis Brigade was supplied with the British-made Bowman tactical communications and data system in a $165 million deal with General Dynamics UK, though the equipment has been modified through the removal of U.S. technology in the system (Defense News, May 8, 2008). The Khamis Brigade has also taken part in joint exercises with the Algerian military (JANA [Tripoli], December 1, 2007). Aside from the Khamis Brigade, most of the rest of the military has access only to obsolete Soviet-era equipment after enduring years of sanctions. This situation is not necessarily regarded as unfavorable by the regime, as it diminishes the chance rebel officers could mount their own coup similar to Colonel Qaddafi’s 1969 military takeover. Officers are subject to frequent transfers to prevent them from developing personal ties of loyalty with any one command. Though the senior ranks of the military are dominated by the “Guide’s” own Qadhadfa tribe, rivalries within the officer corps tend to be encouraged rather than discouraged to prevent an atmosphere of cooperation that could possibly lead to the creation of a junta. Another son and prominent military figure is Colonel Mutassim al-Qaddafi. Mutassim received his training at the Cairo Military Academy before being given command of an elite unit in the Libyan army, where he gained a reputation for indiscipline and erratic behavior. At one point he was forced to take refuge in Egypt after reportedly marching on his father’s residence at the Bab al-Azizya barracks in Tripoli with detachments of his artillery. In 2002 he returned to Libya, where he was forgiven and promoted to Colonel (Jeune Afrique, May 19, 2010). In January 2007, Mutassim was made head of the National Security Council (Jeune Afrique, February 7, 2009). Yet another son, Colonel Sa’adi Mu’ammar al-Qaddafi, took to local radio on February 19 to announce he had arrived in Benghazi to direct operations there (apparently after the resignation of Benghazi-based Colonel Abd al-Fatah Yunis), but little has been heard of him since (AP, February 19). First Lieutenant Hannibal Mu’ammar al-Qaddafi is a member of the military, but seems to play a minor role in comparison to his brothers. As the military’s chief-of-staff and minister of defense, Major-General Abu Bakr Yunis Jaber was, until recently, one of the most powerful men in Libya. However, he appears to have been detained by Qaddafi after refusing to carry out orders for brutal repression of protesters in Libya’s cities (al-Hurra, February 21). Major Abdel-Moneim al-Huni, Libya’s most recent representative to the Arab League, issued a statement on February 22 on behalf of the “Leadership Council of the Libyan Revolution,” demanding that General Abu Bakr Yunis be released to lead an interim government. Apparently intending to emulate the Egyptian model, al-Huni also appealed to serving officers and troops to abandon the regime: “You who know the honor of military service, I urge you to uproot this regime and take over power in order to end the bloodshed and maintain Libya’s strategic interests and the unity of its land and people.” He further described the use of mercenaries as the regime “signing its own death certificate” (Ahram Online, February 22). Qaddafi relies heavily on two generals from his own tribe, Sayed Qaddaf al-Dam and Ahmad Qaddaf al-Dam. Sayed is the military head of Cyrenaica, which has come largely under the control of protesters, while Ahmad is the “Guide’s” point-man on Egyptian issues. Aside from Qaddafi and General Abu Bakr, Generals Mustapha Kharoubi and Khouildi Hamidi are the last active members of the 12-man 1969 Revolutionary Council, though both have been reduced to performing ceremonial roles. Experiments in Green Book-inspired Jamahiriyah (“popular state”) governance and unification with other Arab/African regimes may have worked against the development of a national identity. Loyalty to the Qaddafis also appears to be shallow; in eastern Libya the police are reported to have helped apprehend a number of mercenaries, while senior military officers are reported to have resigned in Benghazi and Sirte (France24.com, February 21). There have been many reports of low-paid conscripts and even their officers joining the ranks of the protesters in Benghazi, Darna and elsewhere (Telegraph, February 20). While the al-Fadhil Brigade in Benghazi appears to have gone over to the protestors after their headquarters was set on fire, there are reports that the al-Sibyl Brigade continues to be loyal (al-Jazeera, February 20). Benghazi police are reported to have defected to the protestors after witnessing the methods of the mercenaries (AP, February 21). Officials in Malta were surprised by two Libyan Air Force colonels who flew their Mirage F1 warplanes from Libya’s Okba Ben Nafi airbase to Malta. The pilots said they flew low to evade radar detection and decided to come to Malta rather than carry out orders to bomb civilians. The Maltese military was also reported to be monitoring a Libyan warship said to be carrying defecting Libyan officers (Times of Malta, February 21, February 22). Though some Libyans might have been persuaded to desist by the regime’s warnings of disaster and promises of imminent decentralization, organizational restructuring and the dismissal of many state officials, the introduction of mercenaries with orders to kill in the streets of Libya’s cities seems likely to be the last straw before the collapse of the Qaddafi regime. Mercenaries from all quarters have frequently found work defending unpopular African regimes, but at best they have usually only prolonged the inevitable, their very presence an indication that a regime rules only through force rather than popular consensus, regardless of protests to the contrary. Ironically, it was Qaddafi himself who warned a gathering of Libyan security officials in Tripoli in 2004 to beware of infiltration efforts by “mercenaries, lunatics, infidels and people who pose a threat to security” (Great Jamahiriyah TV, April 14, 2004). 1. See GF Abbott, The Holy War in Tripoli, 1912, pp.79-80. 2. See J. Millard Burr and Robert O. Collins, Darfur: The Long Road to Disaster, Princeton N.J., 2008, p. 84. Following the lead of demonstrators in Egypt and Tunisia, hundreds of Somali youth took to the streets of South Mogadishu on February 13 to denounce both the Transitional Federal Government (TFG) of President Shaykh Sharif Shaykh Ahmad and the Islamist militant movement al-Shabaab, their opponent in the struggle for Somalia’s capital. Under the watchful eye of African Union peacekeepers, the protestors waved Somali flags, chanted slogans expressing their unwillingness to be recruited by either al-Shabaab or the TFG and vowed to continue daily demonstrations “until we achieve our anti-war goals” (Daily Nation [Nairobi], February 14; Shabelle Media Network, February 13). TFG security forces tried to abort the demonstration by arresting seven organizers a day earlier, but the march occurred as planned. Mogadishu civilians suffered greater losses in the battle for the city than either of the contesting groups of gunmen. The protest did not appear to have any effect on the warring parties; more than nine civilians were reported killed and 35 injured the next day in the deadly daily crossfire in Mogadishu. 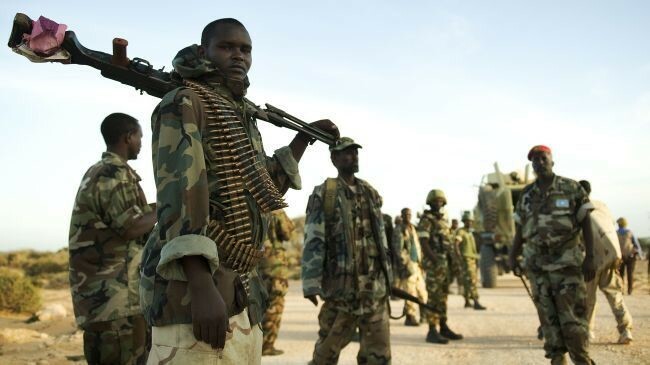 There are reports that leaflets condemning both the TFG and al-Shabaab have begun appearing in parts of the city (Radio Gaalkacyo, February 13). Perhaps confusing a pro-government demonstration for another anti-TFG/al-Shabaab march, a pickup truck full of TFG troops wheeled up to a pro-TFG rally the following day (February 15) and opened fire on a crowd of hundreds of people carrying pro-government banners, killing four and wounding at least 17 more. The rally had been organized by the Banaadir regional administration and the mayor of Mogadishu, Muhammad Ahmad Tarsan (Mareeg.com, February 15; Somaliweyn, February 15). The TFG’s mandate is set to expire in August without having established its writ over any area larger than a few neighborhoods of Mogadishu, but the Somali parliament has taken a unilateral decision (without consultation of its international partners and supporters) to extend the government’s mandate for another three years (Mareeg.com, February 12). Al-Shabaab is also seeking to exploit the spirit of recent demonstrations elsewhere in the Islamic world. An al-Shabaab leader, Shaykh Jama Abdusalam, appealed on local radio for Somalis “to carry out Egyptian and Tunisian style uprisings in Somalia… It is good to take up such revolution against all governments that serve the interests of Western countries. We have to follow Muslims who are fighting for their dignity and religion in Tunisia and Egypt” (Alfurqaan Radio, February 14; Daily Nation, February 14). So far, no pro-al-Shabaab demonstrations have been reported in areas controlled by the movement, where most residents are trying to cope with a massive drought and an al-Shabaab ban on international relief efforts. 1. Matt Goshko, Public Affairs Officer, Somali Affairs Unit, U.S. Embassy, Nairobi – Press Release, February 4, 2011. An ideological leader of former Egyptian militant group al-Gama’a al-Islamiya (GI – The Islamic Group) recently told a pan-Arab daily that the revolution in Egypt belonged not to the Islamists, but to the “youths of Facebook” (al-Sharq al-Awsat, February 11). Based in Alexandria, Dr. Najih Ibrahim describes himself as “an Islamic thinker or a preacher calling for Islam,” adding that he is not a politician, nor does he wish to be. Shaykh Ibrahim spent two decades in Egyptian prisons on charges related to the assassination of Egyptian president Anwar Sadat. Ibrahim insisted that the Islamist movement’s role in the revolution had been small and movements such as his own could take little credit for the events that brought down President Mubarak: “This revolution belongs only to those that ignited it. These are the “youths of Facebook”. They called for it, sacrificed for it, and achieved victory. All the others without exception came to al-Tahrir Square after the police had left.” In the past, Shaykh Ibrahim has warned of the dangers of the internet, noting the presence of “scattered individuals” who do not take religious instruction from shaykhs, mosques or reputable Islamic groups, finding inspiration instead on the internet, which is now “not only a source of extremist ideology, but also information on how to implement such ideology, providing information on how to manufacture a car bomb or turn normal chemicals into explosives…” (al-Sharq al-Awsat, January 15). As soon as it erupted, [the revolution] did not raise a religious slogan in order not to be aborted and not to be rejected by many forces in society. It did also did not raise any political slogan in order not to cause differences among the political forces participating in it. It also did not discuss foreign policy. It did not chant against the United States and Israel and did not ask for the abrogation of the Camp David Accords. 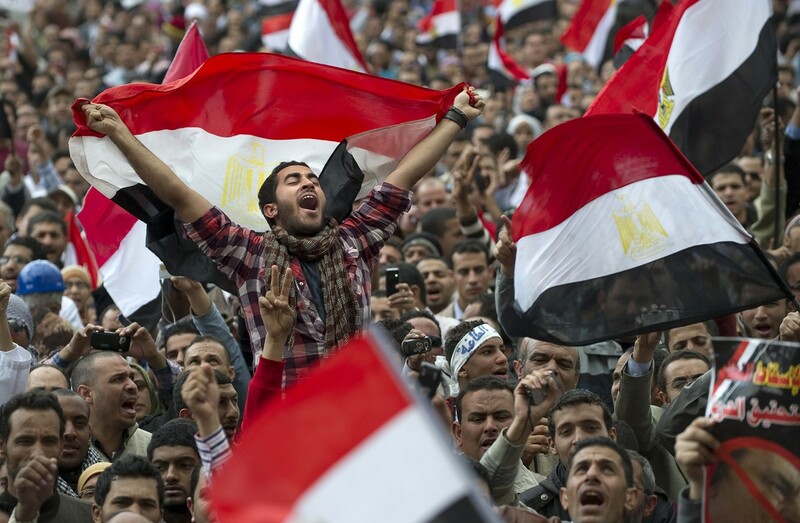 All this neutralized the foreign forces [that might have supported Mubarak]. Ibrahim’s assessment of the revolution contrasted his earlier remarks made on February 3, when the shaykh insisted protests should end as President Mubarak had granted 90% of the demonstrators’ demands: “What do we want after that? Do we need chaos or to humiliate the president? This man fought for Egypt for 30 years. I am saying this though I was jailed under his rule with the brothers in the Gama’a Islamiya for more than two decades” (al-Sharq al-Awsat, February 3). In viewing Mubarak’s rule, Ibrahim credits the ex-president with keeping Egypt out of any major conflicts during his term, particularly avoiding U.S. pressure to participate in the invasions of Iraq and Afghanistan. Mubarak had also agreed to the 2003 sulh (truce) that resulted in the release of 12,000 Islamist detainees, many of whom had spent more than a decade in prison without trial. A pair of suicide bombings on January 28 constituted the latest round in a bitter struggle between Taliban militants and government security forces for control of Pakistan’s strategic Kohat Tunnel, an important part of Pakistan’s N55 highway (popularly known as the “Indus Highway”), which is heavily used by NATO supply convoys headed for Afghanistan and Pakistani military convoys headed for volatile Waziristan. 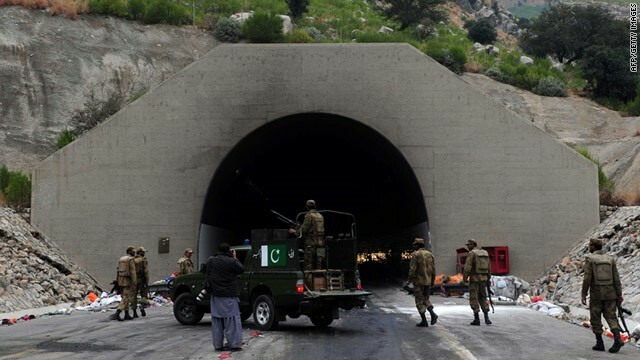 The first bombing was carried out by a Bedford truck full of explosives that entered the tunnel from the Darra Adamkhel side, apparently unchallenged by tunnel security units. The explosives were detonated some 600 meters inside as the driver crashed the truck into the wall of the tunnel. The blast damaged the electrical, drainage and exhaust systems and created a crater one meter deep and six meters wide. This forced a 24-hour closure of the tunnel, which was later reopened to small vehicles only (Express Tribune [Karachi], January 30; Daily Times [Lahore], February 2). Repairs enabling the passage of heavy vehicles are expected to take some time. Bomb disposal experts later estimated the truck-bomb contained roughly 500 kg of explosives (Pakistan Observer, February 4). A second explosion followed as an oil tanker rigged with a similar charge of explosives crashed into a military checkpoint outside the tunnel. Normally manned by units of the regular army and the paramilitary Frontier Corps (FC), the checkpoint was unmanned at the time of the attack, approximately 12:30 AM. The tunnel has only been open at night for the past two months after night-time use was banned following its brief seizure in January 2008 by Taliban forces who set off explosives inside the tunnel. A male civilian and two women were killed immediately in a car following the tanker to the tunnel. The death toll in the two attacks has now reached eight, as several wounded have succumbed to their injuries (Pakistan Observer, February 4). The owner of the oil tanker has appealed to the government for compensation for the destruction of the tanker (The News [Islamabad], February 5). Responsibility for the blasts was claimed by the Darra Adamkhel Taliban under the leadership of Tariq Afridi (The News, January 30). Tariq Afridi took command of the Darra Adamkhel fighters in November 2009 after the group’s two principal leaders were killed in a military operation in 2008. Taliban fighters based in the hills around Darra Adamkhel (and its thriving arms bazaar) have made regular attacks on supply convoys passing through the region. The Darra Adamkhel command is most notorious for the kidnapping and murder of Polish engineer Petr Stanczak in February 2009 (The News, February 15, 2009; Dawn [Karachi], April 26, 2009). Taliban fighters in the area have also been responsible for numerous attacks on the region’s substantial Shiite minority. Reports last December indicated that members of the local Taliban were shaving their beards and infiltrating the Darra Adamkhel area (Daily Times, December 6, 2010). The strategic 1.9 km tunnel was built with Japanese assistance and completed in 2004. It connects the relatively isolated Khyber-Pakhtunkhwa district with Peshawar and the rest of Pakistan. The tunnel allows shipping by large trucks that was previously impossible due to the dangerous hairpin turns of the old 14 km Kohat Pass road. Control of the tunnel has been an important Taliban objective for several years. A major battle between militants and government troops over several days in January 2008 saw Taliban fighters led by Tariq Afridi take temporary control of the tunnel before being driven off by a massive military response (PakTribune, January 28, 2008; The Nation [Islamabad], January 31; Reuters, January 27, 2008). This article first appeared in the February 10, 2011 issue of the Jamestown Foundation’s Terrorism Monitor. Caught off guard no less than Egyptian authorities by the spontaneity of the anti-regime demonstrations that have swept Egypt, the ideologues of the Salafi-Jihadi trend have struggled to somehow incorporate these momentous events within the framework of the greater jihadi cause. While some Western commentators have weaved fantasies about the hidden hand of the Muslim Brothers or even al-Qaeda behind these events, the Salafi-Jihadists are fully aware of the highly limited role they have played so far in a revolt that has a notable absence of any religious dimension. The effective al-Qaeda leader, Dr. Ayman al-Zawahiri (himself an Egyptian militant who fought a failed terrorist campaign against the Egyptian state), has so far maintained surprising silence on the demonstrations in Egypt’s cities. Nonetheless, a number of Salafi-Jihadi ideologues have attempted to insert the movement into events in Egypt, while still acknowledging the difficulty of doing this in a country where decades of struggle have resulted in the imprisonment, exile or recantation of most of Egypt’s once powerful militant Islamist movement. One of the most surprising statements was attributed to veteran Egyptian jihadist Thirwat Salah al-Shehata, who has not been heard from since his escape from the 2001 collapse of the Taliban regime in Afghanistan. A lawyer from al-Sharqia governorate in the Egyptian Delta, al-Shehata was a colleague of Muhammad Abd al-Salam Faraj, Shaykh Omar Abd al-Rahman and Ayman al-Zawahiri in the incipient Egyptian jihadi movement. A member of the Shura Council of Jama’at al-Jihad bi Misr (Egyptian Jihad Organization), al-Shehata was charged in connection with the assassination of Anwar Sadat in 1981 and served three years in prison. In 1993 al-Shehata left for Yemen after a series of detentions by Egyptian authorities. He was again charged in the 1994 attempted assassination of Egyptian Prime Minister Atif Sidqi and was this time sentenced in absentia to the death penalty. He left for Sudan during the period of Bin Laden’s residence there before leaving with al-Zawahiri for Afghanistan in 1995. During his stay there he was placed in charge of the movement’s security committee (Al-Ahram Weekly, October 18-24, 2001). 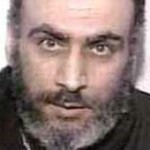 In 1999 al-Shehata was sentenced to death in absentia for the second time in Egypt’s “Albanian Returnees” case. In 2001 he is believed to have escaped the American invasion of Afghanistan by fleeing to Iran, where he was reportedly placed under arrest. At that point, al-Shehata basically disappeared from view. The fate of those al-Qaeda members and associates who sought refuge in Iran after the U.S. invasion of Afghanistan is one of the most poorly understood aspects of the “War on Terrorism.” The question has been subject to speculation loaded with political motivations, but the evidence appears to point to Iranian detention of those who crossed into Iran, either in prisons or under house arrest. Nearly ten years later it seems probable that Iran has begun releasing these individuals (most of whom were likely considered too hot or ideologically unsound to be made use of by Iranian intelligence) from their confinement or has allowed them to leave the country. In a February 2 message issued by Jama’at al-Jihad in Egypt entitled “A Statement by the Jihadi Leader Thirwat Salah al-Shehata to the Popular Revolution in Egypt,” the long-missing jihadist applauded “our defiant Egyptian people, in all segments of society, for their courageous, chivalrous and heroic stance against tyranny,” while urging Egyptians to “continue their march to uproot the Pharaoh and his minions, and purify our precious Egypt from his filth, after years of suffering from humiliation, subjugation, contingency, silencing, imprisonment, torture, disease, hunger, theft and wastage of the umma’s [Islamic community’s] resources, and slavery to the enemy…” The message was sent to the London-based Al-Maqreze Center for Historical Studies, run by Egyptian Islamist Hani Al-Siba’i, and published by the center on its website (almaqreze.net, February 2). We wish to be in the front lines and participate with you in this great honor and to serve as shields for you, but are prevented from this. We were locked into cells, and the scorpion is severe in its guard duties. Abu Za’bal was filled with mujahideen currently living out their unjust sentences for the rest of their lives. The rest of us were forced to leave the country, after the government launched their war against us, to join the mujahideen in various other fronts. Complete the course till its end, and do not suffice with mere ministerial revisions, reduction of prices, raising of wages, nor any other solutions resorted to by dictatorial regimes when the noose is tightened around them. Rather suffice with nothing other than the departure of this rotten Pharaoh and his minions. Sources “close to Egyptian Islamic Jihad” told a Saudi-owned daily that al-Shehata had issued the statement from Tehran, where he was a resident (al-Sharq al-Awsat, February 3). The Maqreze Center, however, speculated that al-Shehata is now living in Khurasan (a somewhat ambiguous geographical term that may refer here to Afghanistan and northwest Pakistan, but could also refer to Khurasan Province in Iran). A fatwa (religious ruling) regarding participation in the Egyptian protests was issued on the Minbar al-Tawhid wa’l-Jihad (Pulpit of Monotheism and Struggle) website of Jordanian Islamist Shaykh Abu Muhammad al-Maqdisi, the former mentor of al-Qaeda in Iraq leader Abu Musab al-Zarqawi. The fatwa was the work of Abu Mundhir al-Shanqiti, a regular contributor to Maqdisi’s website, and followed an earlier article by the same author entitled “The Revolt Against Mubarak,” in which he suggested people “claim their rights by force, not by begging” (tawhed.net, January 25). Al-Shanqiti suggests that the demonstrators have only just arrived at the same conclusion reached long ago by the Egyptian jihadi groups – that the Western-supported “corrupt and tyrannical” regime must be overthrown. Another commentary appeared on jihadi websites in the form of a question and answer session with Shaykh Hussein bin Mahmud, the pseudonym of a Salafi-Jihadi ideologue who is a regular contributor to Islamist forums and websites (Al-Sharq al-Awsat, November 30, 2006). Bin Mahmud denounced those religious scholars in Egypt who are “still in fear of these events and wait to see what unfolds… If the scholars were to come forth, the masses would follow them.”  He points especially to the scholars of al-Azhar (the Cairo-based Islamic university that is the center of Sunni Muslim theological studies), advising them to “play a greater role.” He does not, however, have any hope for intervention by the Grand Shaykh of al-Azhar, Dr. Ahmed al-Tayab, whom he describes as “an employee of Hosni [Mubarak]. He is not worth anything.” Al-Tayab was a leading member of Egypt’s ruling National Democratic Party (NDP) until criticism after his appointment to Grand Shaykh led to his official resignation from the party. In a commentary posted last year in the wake of the Israeli attack on the Gaza aid flotilla, Bin Mahmud accused Egypt (without specific reference) of “protecting the Jews from outside [Israel’s] borders” by preventing the entry of mujahideen into Palestine. He suggested the military campaign should begin outside of Israel: “Those who want to enter Palestine and fight the Jews must first start with the [Arab] border guards… It is not forbidden to kill the Jewish state’s border guards, even if they pray and fast” (al-Faluja, May 31, 2010). In their long absence from Egypt, those Salafi-Jihadis of Egyptian origin now find themselves sidelined from events they are unable to manipulate in their favor. Though they may “wish to be in the frontlines,” they are instead reduced to issuing missives that must compete with the violence-denouncing “Revisions” of their imprisoned colleagues, the confused response of the Muslim Brotherhood and the passivity of Egypt’s indigenous Salafist groups. 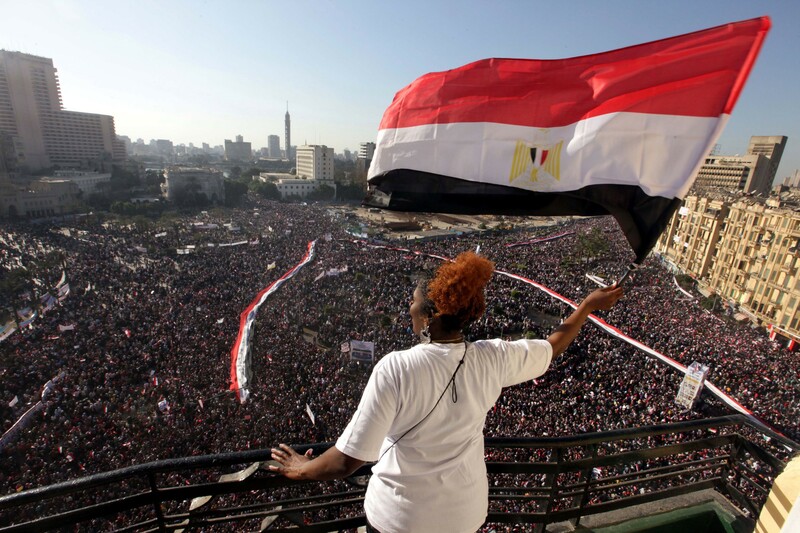 None of these appeals appear to have resonated in any particular way with the Egyptian masses and those who continue to pursue Egypt’s largely secular “Lotus Revolution.” Though many await al-Zawahiri’s response to the events in Egypt, it seems unlikely that any statement from the long absent jihadi leader will have a significant impact on the demonstrators in Tahrir Square, who seek political and economic reforms rather than the establishment of a militant Islamist state. I think the situation in Mauritania is a little different… The situation in Mauritania is still recoverable. But without political reform, the economic and social situation will worsen and lead to revolutionary acts of the citizens. These preventive reforms require a political opening, a real dialogue to find a solution to the problems of prices, unemployment, the problems of national unity and a merciless fight against slavery [which continues to be a social problem in Mauritania] (Quotidien Nouakchott, February 3, 2011). The Islamist leader pointed out that the West prefers to promote democracy at home while encouraging dictatorships in the Arab-Muslim world: “Islamist parties tolerate not only democracy; they defend it whether the people vote for them or for secular regimes… The examples of Turkey, Morocco, Indonesia and Malaysia confirm that the Islamist parties can play the democratic game perfectly well” (Quotidien Nouakchott, February 3, 2011). Ahmed Ould Daddah, the leader of the Regroupement des forces démocratiques (RFD), the country’s largest opposition party, also warned that “The causes that led to a revolt in Egypt are the same, if not worse in Mauritania,” adding that President Abdel Aziz must “go before it is too late” (AFP, January 31, 2011). Like the regimes in Algeria and Egypt, Mauritanian authorities have responded to the political unrest by increasing subsidies on food staples like sugar, rice, cooking oil and flour (Quotidien Nouakchott, February 2, 2011). Meanwhile, al-Qaeda in the Islamic Maghreb (AQIM) appeared to be trying to precipitate such a confrontation with a failed long-distance raid on Nouakchott they later described as an attempt to kill the Mauritanian president. Mauritanian authorities apparently received a tip (possibly from French surveillance aircraft or American satellites) that three AQIM 4x4s had crossed from Mali into the southeast Nema district of Mauritania and were heading for Nouakchott. A puzzling aspect of the infiltration is presented by government reports that one of the vehicles approached the Nema military barracks in an apparent attempt to duplicate a similar suicide attack last August (AFP, February 2). The vehicle was driven off by fire from the garrison, suggesting the vehicle’s approach was unintentional. At this point the AQIM team was presumably unaware their presence had already been detected, and an attack on the barracks would have disclosed their presence in Mauritania before being able to carry out an attack on the Mauritanian president in Nouakchott. The lead vehicle was spotted by a Presidential Guard patrol 12 km south of Nouakchott in the early hours of the morning. Perhaps unaware the vehicle was packed with explosives for use in a suicide bombing, the troops shelled the vehicle with a mortar at relatively close range. Shrapnel from the resulting explosion injured nine soldiers and was heard in several districts of the capital. The blast left a crater eight meters deep and four meters wide (Quotidien Nouakchott, February 3, 2011; AFP, February 2, 2011). A later statement by an AQIM spokesman disputed this version of events, claiming the explosives in the vehicle were deliberately detonated by its occupants. According to the spokesman, the unit sent to carry out the operation was composed of several nationalities (including two “veteran” Mauritanian members) and was planning to “assassinate Aziz” in retaliation for Mauritania’s military cooperation with France in operations against AQIM. The spokesman promised videotaped “martyrs’ wills” would verify these claims (Agence Nouakchott d’Information, February 2, 2011). According to Mauritanian security sources, another vehicle carrying two AQIM members at first gave indications it intended to flee, but then turned on its pursuers, injuring one security officer (who later died) before seizing his weapon and fleeing in the direction of the Senegal River, where Senegalese troops had been deployed to prevent the fugitives from crossing (AFP, February 3, 2011). One suspect was later detained in the Brakna region near the Senegal border after locals alerted authorities, while the second blew himself up when encircled by security forces (Reuters, February 6, 2011). The two AQIM operatives in the third vehicle were captured. A French Foreign Ministry spokesman said France was not ruling out the possibility French establishments in Nouakchott were among the intended targets. One of those arrested was a national of Guinea-Bissau, who told investigators the targets included a Nouakchott military barracks and the French Embassy (AFP, February 2, 2011). The French Embassy was previously targeted by a suicide bomber in 2009. Despite the casualties to the Presidential Guard battalion, the operation presented Mauritanian authorities with a notable success in its continuing efforts to combat AQIM. Al-Qaeda in the Islamic Maghreb (AQIM) has responded to the overthrow of Tunisian President Zine El Abidine Ben Ali with a statement calling on Tunisians to complete their revolution and beware of the machinations of the “Jews and Crusaders” (al-Andalus Media/al-Fajr Media Center, January 26). The statement describes the deposed Ben Ali as a taghut, an unjust ruler who rules by laws other than those revealed by Allah. While praising the Muslims of Tunisia for removing Ben Ali (“You have revived hope in a people in despair!”), AQIM warns that the “taghuti system remains” and the beneficial results of the revolution remain prone to “theft and circumvention.” While Ben Ali has fled to Saudi Arabia (a favorite target of al-Qaeda), his “apostate regime of tyranny and corruption” remains in Tunisia’s “constitution, laws and institutions.” According to AQIM, the battle against kufr [disbelief] and transgression will be a long one, and this is only the first round. France is the one who supported Ben Ali till his last breath, helping him to such an extent that they even offered him their expertise in quelling the revolution. The French Crusaders are the ones who supported the Taghut regime of the criminal generals in Algeria, and they are the ones who help them to kill and suppress the Muslims there to this day. 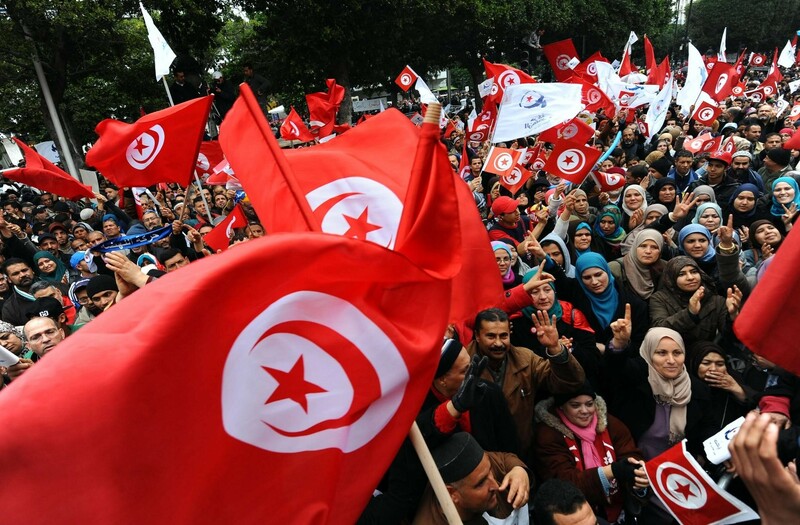 Based on these facts, we have not the slightest doubt that America and France will play the same filthy role in the future of Tunisia, unless they are repelled by the strikes of the mujahideen, the progeny of Yusuf bin Tashfin [a reference to the 11th century Berber king of the Almoravid dynasty who ruled North Africa and Spain].